Chocolate, or cocoa as it was then known, was first brought to Belgium in the 17th century by the Spanish when they ruled the country. It became extremely popular throughout the 18th and 19th centuries and has since evolved into a delicacy which is enjoyed worldwide. Belgian chocolate really began to make waves upon the arrival of a new process created by Jean Neuhaus, using a special type of chocolate called “converteur”. This chocolate was used as a shell to be filled with nougats, creams, fruits, nuts, coffee or simply more chocolate – and the praline was born. 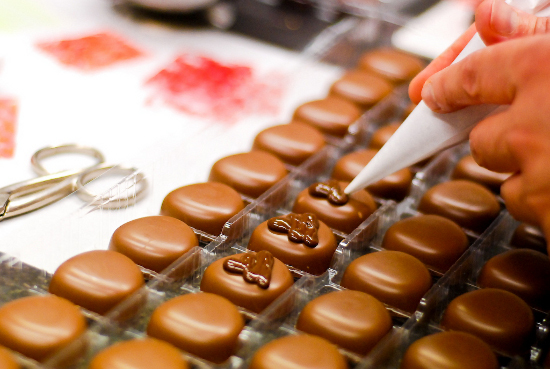 There are more than 2,000 chocolate shops in Belgium, so how do you find the perfect chocolate? Here are a few suggestions of the best shops in country. Burie is a family business which opened in 1964 in the heart of Antwerp and has since been making headlines. They are famous for their fabulous window displays, which has included a life size car, a tiger, a boat and even a chocolate model of the White House. The shops seasonal creations are a site to behold and their legendary Diamond Chocolates make the perfect gift. Pierre Marcolini has a number of shops Brussels and makes many interesting and experimental delicacies including biscuits, truffles, macaroons and pralines such as the “The Earl Grey”. Pierre is apparently meticulous about choosing his raw ingredients and believes in working the way the “inventors” before him did, and continually searches for new flavours. Del Ray is chocolatier that opened shortly after the Second World War and has been considered one the best confectioners for many years. It is now a specialist store selling cakes, beautifully decorated chocolates, ice cream and confectionary. Del Ray’s famous “tasting room” has been a hit with tourists for many years offering a light lunch or a tea time treat. The Chocolate Line is another experience to be had, this time in Bruges. Dominique Persoone, self confessed “shock-a-latier” has taken chocolate to another level with his unique flavours including black olives and basil, peas, cola and extra virgin olive oil. Persoone can boast at having three famous chef customers, he has also worked with fellow experimental chef Heston Blumenthal and won “Best Chocolate Book” at Best in the World Gourmand, in Paris this year. A man called Joseph Draps set up another chocolate shop in Brussels and named it Godiva after Lady Godiva. This chocolatier is famous for its rich smooth, beautiful handcrafted treats, with innovative moulds and artful packaging. The store echoes everything that Belgium is about – elegance. From the gothic architecture, to the intricate lace and fine art, Belgians have always paid attention to detail, and the same goes for their chocolate. If you fancy yourself as the next Jean Neuhaus then why not visit the Godiva factory and try your hand at chocolate making at their workshop? If, in the next few days, the English Channel becomes something like the Bermuda Triangle then we shall know why. 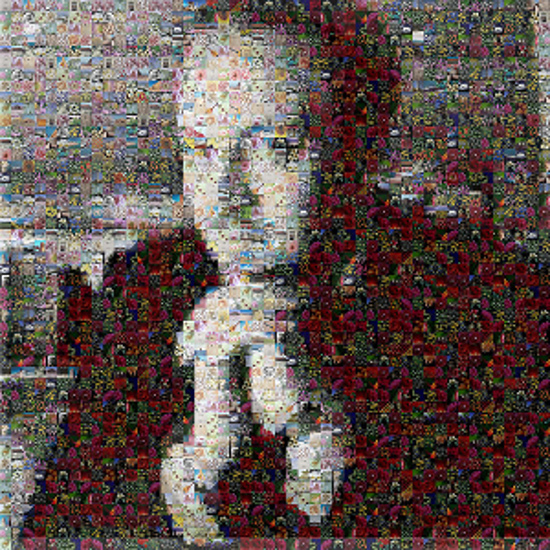 Magician and illusionist Derren Brown is currently onboard a P&O Cruise, the Aurora, as it sails from Southampton to Le Harve via Zeebruge. The Aurora is P&O’s classic British cruise ship and regularly has great entertainment events such as Derren Brown’s trickery shows. This is on top of a Marco Pierre White restaurant, 12 bars, 3 pools, regular music festivals, a theatre, a spa/gym and a cinema. 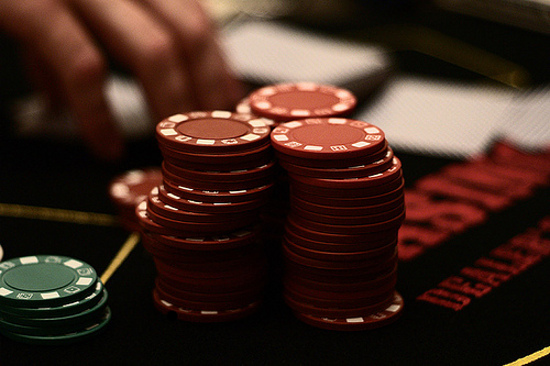 His photos show that he has already been exploring certain off-limit areas onboard the Aurora. Lets hope he doesn’t get bombarded with too questions from passengers desperate to know about the next lottery results! The Aurora’s upcoming cruises include two and a half weeks in the Black Sea, and two and a half weeks in the Med. The Euromast is the only place in Europe where you can enjoy a delicious meal, the view of a beautiful city and then abseil down when you’re done. Rosie Khdir reports on the heights of Rotterdam. Rotterdam’s skyline is an architectural feast for the eyes and the most prominent feature by far is the Euromast, built in 1960 by architect H.A. Maaskant and contractor J.P. van Eesteren. Standing 186 metres high, the tower provides excellent views of the metropolis below and, on a clear day, it is said that visitors can see Antwerp, Moerdijk and The Hague, as far as 30 kilometres away. The Euromast has a delightful brasserie situated 100 metres up where you can enjoy breakfast lunch or dinner with a view that will make your jaw drop. The tower also serves as a perfect venue for business meetings and you can even hire out its restaurant for weddings and parties. Have you’ve always dreamt of sleeping in the clouds? Well the Euromast can help you there. The two Heaven and Stars suites, located just above the brasserie, are the perfect place to experience a night in a glamorous sixties style apartment, with the highest balcony in Rotterdam all to yourself. If you can brave the 185 metre height then a trip to the Euroscoop at the top of the tower is a must. This rotating platform provides observers with views of Madurodam and the cooling towers of Antwerp, and can even be visited between courses at the brasserie. For a more adventurous way of viewing the city below, why not try abseiling down a building with no walls? 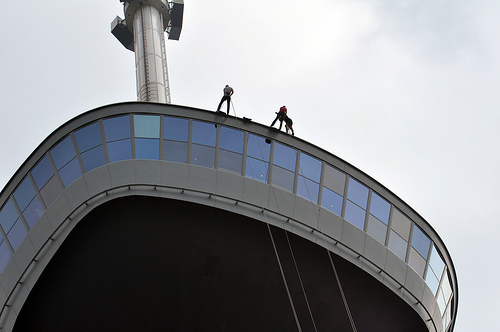 The Euromast is the only building in Europe that offers abseiling in this way and no experience is required. 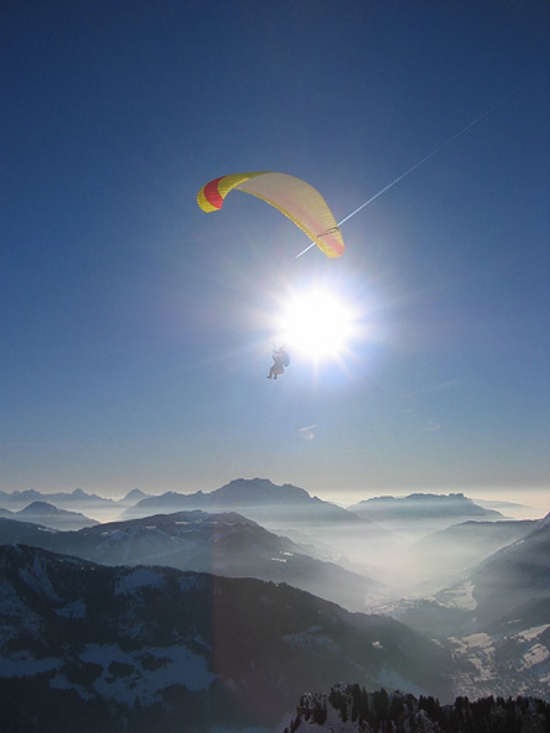 There is also the option of rope sliding, a speedy 100 kilometre per hour descent from 100 metres up, delivering you safely on the ground within 15 seconds. Both activities are available from May to September. Since its initial creation the tower has been extended to its current height of 186 metres, had an interior modernization and has even been included in the World Federation of Great Towers. For prices and more information visit the Euromast website. In Paris, when the leaves begin to fall as a sign of autumn’s arrival, actors, musicians and dancers alike come together to celebrate contemporary art. Rosie Khdir explores the delights of the Festival d’Automne. Forty events in four months in over 150 venues in Paris, involving the original works of artists across the globe – this is what is expected of the Festival d’Automne. 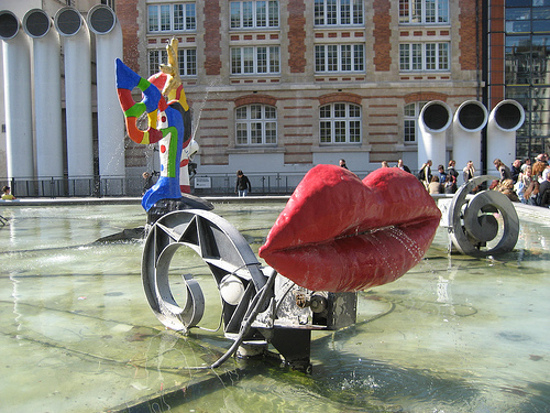 The festival was founded by Michel Guy in 1972 in collaboration with the President of the French Republic, George Pompidou, as a non-profit organisation to exhibit the works of new and unheard of avant-garde artists. The programme for its 38th edition this year looks as impressive as ever with a tribute to dancer and choreographer Merce Cunningham, who died earlier this year. His company will present Almost Ninety at the Théâtre de Ville, a performance featuring 13 dancers accompanied by the music of Takeshi Kosugi, John Paul Jones – Led Zeppelin’s bass and keyboards player- and by the four members of Sonic Youth. Theatre lovers will not be disappointed, with the Wooster Group performing Vieux Carré, a play by Tennessee Williams written shortly before his death, at the Centre Pompidou. The American Repertory Theatre Boston will also be staging an adaption of William Shakespeare’s Julius Caesar, exploring the ability of words to change the course of history. These are just a few of the treats in store for audiences this autumn as Paris becomes an avant-garde playground, lime lighting artists of all art forms. The performances run from 15th September until 19th December and are shown in venues and theatres in and around the capital. Mass cycling events have yet to find the panache that an eco-friendly event should have, but this could change in the near future. 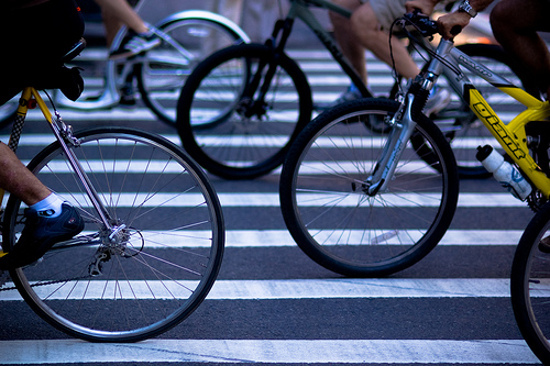 Pavla Tolonen thinks it’s just about time people realised the potency of bicycles. Cycling simultaneously with 1200 French people may sound like a nightmare, however considering the upcoming Rolling Town cycle event will feature all the best spots of Toulon, joining may not be such a bad idea after all. Attracting cyclists from all over the world on the first Friday of every month, the event boasts some of the funniest costume-wearing individuals yet to rival naked riding events, and truly earns its green credentials by inspiring people to adopt cycling as an alternative to driving. The enthusiastic riders depart from a Rolling Park in the little naval town of Toulon and venture 15 km around the town before celebrating their journey at the same spot. Participants are provided with drinks throughout the trek and several bike repair shops will be set up around the course. The race has 15 distinct rules, all ensuring the open-minded and welcoming atmosphere an event like this should have. Riders must refrain from any insulting, racist or morally dubious behaviour, including drinking alcohol or consuming drugs, as well as, using motor-powered additions to bikes. Participants are also encouraged to wear helmets and exercise caution. Each month the procession starts from the same place, le place de la Liberte, and introduces sights like the seaside town of Mourillon, the Besagne district, the Downtown district, and several other local sights. The event is often commended for its charitable achievements gathered from fundraising components like sweet and drink sales, cinema tickets and skating. Toulon, which is the fifteenth largest city in France, was the first ever city to entertain the Rolling Town circuit near the Mourillon beaches. Eight hundred people joined the first event, after which the amount of participants grew heavily. With summer having left us, one more party to celebrate autumn may be in order. Pavla Tolonen finds Barcelona’s Fiesta de la Mercè particularly inspiring for this. Human towers, endless food stalls and plush parades are only a few of the features at this year’s Fiesta de la Mercè festival in Barcelona. The event, which commemorates the city’s patron saint La Mercè (Virgin of Mercy), has been celebrated since 1902 as a welcome ritual for autumn. The festivities were banned under the rule of Francisco Franco, the Spanish dictator who ran the country for forty years suppressing any non-Spanish activities, but were reinstated after he died in 1975. Now the festival is an amalgamation of several extended local festivities, which together form a massive jubilation with over 500 different activities, including fireworks, a regatta, judo, swimming, sailing and a human tower building experiment. 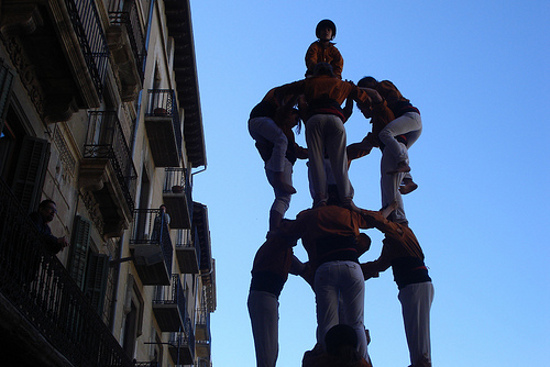 The human tower is the most famous of all the Fiesta de la Mercè activities. Each year climbers, dressed in traditional ‘castellers’ outfits, attempt to outdo the previous year’s achievement regarding the amount of human layers in the tower. Despite eager attempts to add an additional layer, the tower usually hovers around eight layers. Another popular element is the parade which includes the ‘correfoc’ (dancing devils), a display of fire-breathing dragons and costumed wooden devils, called ‘gegantes’. Although most of the festivities explore religious connotations, not all elements focus on a religious significance. Most citizens of Barcelona, as well as tourists visiting the city, participate in the traditional celebrations to recognise the freedom Barcelona now has to be openly Catalan. Festival goers can enjoy the event for a few days in the fourth week of September, usually around 24 September. It begins at Plaza de Sant Jaume and has various locations across the city. The parade moves across the city boasting colourful outfits and exuberant dancing. Live musical performances, dance workshops and displays, as well as, orchestras and DJs are a keen part of the day. The Moll de la Fusta will host circus acts, while dance troupes and performing acts will take place at the Plaça St Rei. The event also celebrates the birth of Cava, Catalonia’s own version of champagne, which has its own designated event a few weeks after the Fiesta de la Mercè. For more information please visit the official festival at www.bcn.cat/merce.